OWL COMPANY is a quintet alternative metal band from São Paulo, Brazil. Combining hard rock influences ranging from the 70s to the 90s, they add a dose of modern brutality to create a fresh and engaging sound that is all their own. 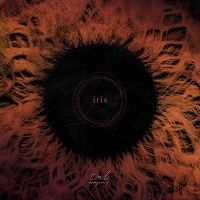 “Iris”, their sophomore album, was released November 9th of 2018. This album shows great diversity with each song sounding very different. The first track on the album, “One Last Time” is catchy and is a thumping start. Immediately, insatiable riffs and tenacious rhythms back the bearish snarling growl of Minelli. Spicy grooves and irresistible swagger are created in a collusion of melodic metal and heavy hard rock. The second track, “Boogie Man” lets loose its groove from the first second and never releases its lusty grip. It is a highly energetic song with Minelli as the eager ringleader inciting the listener. “Rise”, the third song, slows down the pace, being a much calmer song. However, it is just as captivating with layered dynamics building small crescendos which erupt with emotional intensity. The next song, “Antagonist”, is my least favorite song on the album as it feels very messy and unpolished. It jumps from feeling harried to very slow and repetitive. This song is unpredictable in a very unpleasant way. “Shattered Dreams” peaks the interest of the ear with a tapestry of styles inviting the listener into almost a battlefield of creativity. “Dawn of Days” gives a more mellow but still fiery feel with Minelli commanding from within an enthralling net of grooves and melody cast by Ruiz and Solera. The big swinging beats of Biasoli provide an impressively stirring incitement as Yamamoto’s bass springs a sweet groove to complete the track. “Broken Paradigm” has a distinctly southern rock feel. “Disconnected” highlights Manelli’s vocals, showing much higher range than any other song and still dipping to low vocals. “Forbidden” is a very interesting song, with the guitar starting out with a very playful, catchy sound. Throughout the song, this lighthearted feel is juxtaposed by gravely, growling vocals. “The Other Side” shows yet another side to the band – emotional balladry. The song features a tantalizing croon intermixed with unpredictable character. “Shades” showcases invigorating dynamics, followed by the intimately reflecting song “Doors”. The final song, “Angel”, is an impassioned one that brings the album to a powerful and stirring close. Each song adds a new shade to the very creative palette of the album, each being very different from the other. Iris is a truly thrilling album with never a dull moment.